Tool molds are commonly used in the manufacturing industry to form and shape composite cloth materials into usable finished products. The composite cloth materials used (typically carbon fiber or fiberglass) are preferred because of their high-strength and lightweight properties. 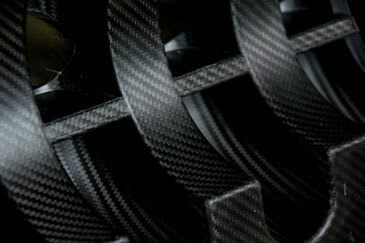 Composite materials are a result of a two-part system that consists of a cloth fiber material and an epoxy resin. The resin bonds the cloth layers together through a curing process that forms a strong and lightweight product. The term “pre-preg” is used to identify cloth materials that are pre-saturated with a resin. 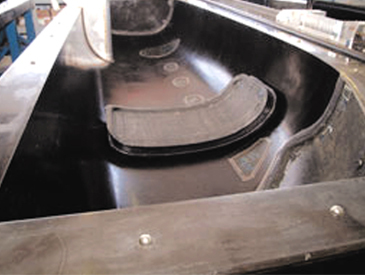 They are preferred over typical wet lay-ups because they provide less mess, less waste, faster curing time, better part uniformity, and better appearance. However, these pre-preg cloth materials can be challenging to fit into the sometimes complex shapes and contours of a tool/mold. Preheating the mold to approximately 120°F (49°C) softens the pre-preg cloth material as it is hand laid into the mold. The heat makes the cloth more malleable and easier to work along the sometimes complex geometries of the mold. Preheat the mold using a high-temperature BriskHeat fiberglass heating blanket. 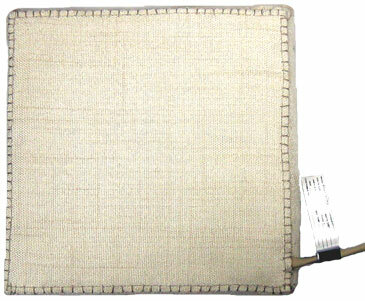 These heating blankets are a safer, more efficient, and less time consuming alternative to traditional heat lamps. BriskHeat fiberglass heating blankets can be custom designed to a specific size or shape and the built-in insulation of the heater provides minimal heat-loss for energy efficiency and a safe-to-touch surface. Additional benefits include reusability, exceptional heat uniformity up to 1100°F (593°C), and durability for long service life, making them a cost effective solution for preheating molds. 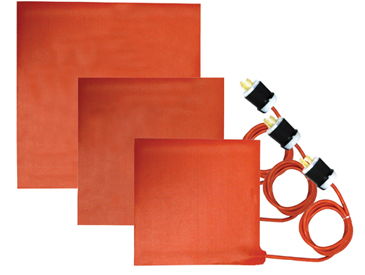 Fiberglass heating blankets can be designed using a variety of temperature controlling options depending on the requirements of the applications. Options range from simple on/off temperature sensing to highly sophisticated ramp/soak programs. 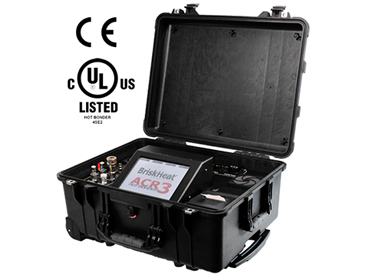 Some of these options include using a built-in preset thermostat, a variable temperature adjustable thermostat, a programmable digital PID controller, or even a BriskHeat ACR® Hot Bonder. Hot debulking is a process where multiple layers of composite cloth/resin materials are assembled together into a layup and a vacuum is applied to remove unwanted air and voids within the layup. A variety of BriskHeat heater options can be used to elevate the temperature of the layup to approximately 120°F (49°C). Heat allows the materials to compress easier and limits the amount of voids in the layup to ensure a stronger, more reliable cure.